The myna or mynah is a bird of the starling family (Sturnidae). This is a group of passerine birds which occur naturally only in southern and eastern Asia, especially in North India. Several species have been introduced to areas like North America, Australia, South Africa and New Zealand, especially the Common Myna which is often regarded as an invasive species. Mynas are not a natural group; instead, the term myna is used for any starling in India and surrounding areas, regardless of their relationships. This range was colonized twice during the evolution of starlings, first by rather ancestral starlings related to the Coleto and Aplonis lineages, and millions of years later by birds related to the Common Starling and Wattled Starling's ancestors. These two groups of mynas can be distinguished in the more terrestrial adaptions of the latter, which usually also have less glossy plumage except on the heads and longer tails. The Bali Myna which is nearly extinct in the wild is highly distinctive. Some mynas are considered talking birds, for their ability to reproduce sounds, including human speech, when in captivity. Nishiki-e print by Isoda Koryusai, ca. 1775. "Myna" is derived from the Hindi language mainā which itself is derived from Sanskrit madanā. ... Our hero, Will Farnaby, washes up on the island of Pala, where he is greeted by a mynah bird calling for his “Attention” to the need to be here now. At first, the word is scattered through Farnaby’s pained recollections of leaving his wife, and of sleeping with his mistress. “Attention” interrupts his reverie and the reader expects it’s some authoritarian recording, but eventually we find that it’s a bird standing over him where he has washed ashore. Before the young girl who greets him gives him “psychological first aid” to heal him from the trauma of his arrival, she answers his question about why the bird says such things. ” ‘Well…’ She searched for the right words in which to explain the self-evident to this strange imbecile. “That’s what you forget, isn’t it? I mean, you forget to pay attention to what’s happening. Hence, the island has mynah birds flying around like Buddhist temple bells reminding you to be present. Certainly an interesting start to Huxley’s antithesis to the brave new world. 30 years after Aldous Huxley’s Brave New World got published, he wrote Island. This time he invented a real utopia, his idea of a perfect society. One of the many unusual features of Pala are specially trained birds - mynah birds - whose sole function is to loudly screech out “Here and now! Here and now!” at random intervals. The mynah birds are whimsical devices to help bring people back to the present moment - which is the only place we can make constructive changes in our lives. 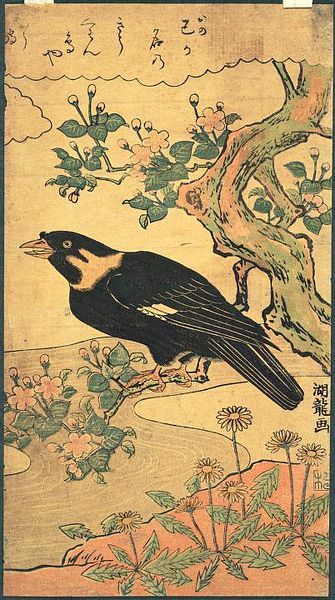 shari 舎利 mynah, a bird that talks like men. In paradise, it explains the teachings of Buddha. Shari was also the name of one of Buddha's important disciples. Śāri was his mother's name and is also a particular bird's name. She was called SHARI, because her eyes seemed to be so similar to the mynah shari bird. And since the baby was the "child of Shari", it was called Sharishi. was one of two chief male disciples of the Buddha along with Maudgalyayana (Pali: Moggallāna), counterparts to the nuns Khema and Uppalavanna, named the two chief female disciples. He became an Arhat "foremost in wisdom" renowned for his teaching and is depicted in the Theravada tradition as one of the most important disciples of the Buddha. 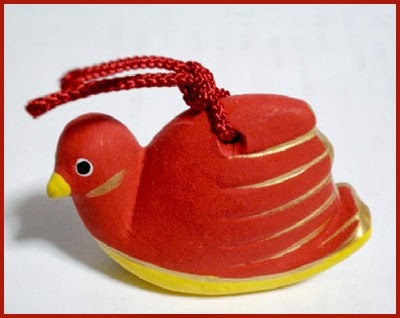 sold at some Kannon temples along the Saigoku Pilgrimage. At temples of the Shingon Sect. It was introduced by Saint Myoe.
. Koozanji 高山寺 Temple Kozan-Ji . 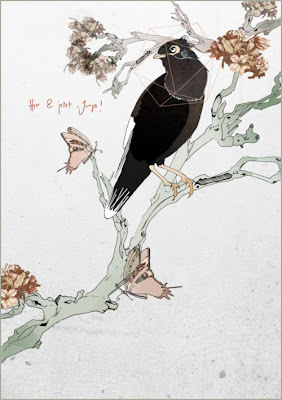 shari dashi 舎利出し "showing of the sacred bones"
through the mango orchard . . .